Wondering what you'll do when your child has read all of the books by her favorite author? Looking for reading materials on a specific topic, or within a certain genre? Well, you're in luck because the library subscribes to databases designed to help you and your kids pick their next read. 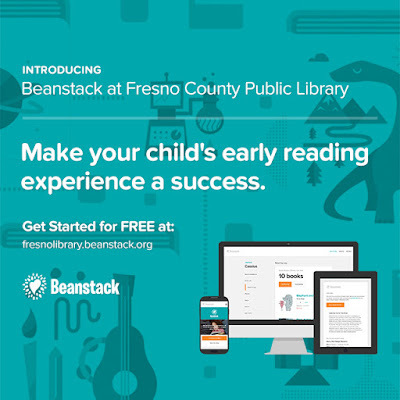 Beanstack helps you discover children's books, matched to your child's interests. It also helps you to find books within particular "learning tracks," or areas of focus, such as "African American Heritage," "Audacious Women & Fearless Females," and "Say NO! to Bullying." The site also provides booklists and allows you to browse books and related activities by themes. For instance, the theme guide for "Pirates" provides a list of pirate-themed books, questions and talking points for different age levels, party ideas, and suggested family activities that relate to the reading theme (ex. family treasure hunt, geocaching, heading to Long John Silvers for a bite). NoveList K-8 Plus is another great resource for kids and the adults who work with them, containing information on book titles designed to support kids’ pleasure reading as well as school curriculum. Within NoveList, you can browse books by genre, appeal, award winners, audiobooks, fiction or non-fiction, and you can access author read-alikes (writers and books similar to those your child has enjoyed) and book discussion guides. As a bonus, NoveList K-8 Plus's interface is very user-friendly and intuitive. The main page, for example, prompts the searcher with the phrase "I'm in the mood for books that are..." and allows you to find books by clicking through tabs specifying age range and appeal. This makes it equally easy to find "world-building and suspenseful" books for a 9-12 year old and "haunting and spare" nooks for a teen. This site is a real boon to parents with multiple children of different age ranges. Once you and your children have discovered some new titles through these tools, be sure to stop by FCPL's catalog , or browse your favorite branch to locate them! If you want it, chances are we've got it.